12 km east of Apt by the N100 (direction Forcalquier) for 4 km, then the D209 on the left. Surrounded by magnificent countryside and perched on a rocky outcrop for more than a millenium, Viens is an ancient village with a medieval atmosphere. While visiting Viens, you will come across plenty of evidence of its dramatic past. 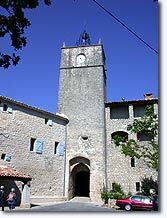 By entering the village through the Saracen door in the ramparts, you can admire the "Tour de l'Horloge" and its gate. It is a pleasure to walk through the village streets where you will see beautiful residences from the 13th century and charming old houses. Two of the most interesting include the "Maison de Monier de la de la Quarrée-Montauciel and the "Maison de Monier d'Arnaud". 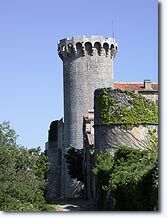 Viens also boasts a Renaissance chateau, restored in the 14th century. 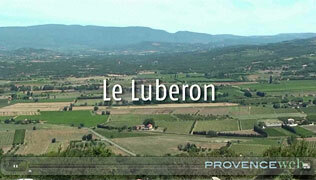 From the chateau surroundings there is a panoramic view from the MontÃ©e de la Pousterle to the Lure gorges. Beautiful walks can be taken around the village where the natural environment is truely superb. 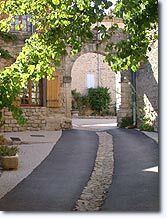 Viens is situated on the border of the Alpes de Haute Provence, not far from huge fields of lavender, in the heart of Parc Naturel Régional du Luberon. It is at the far end of the "route de l'ocre", famous for the Colorado provencal" cliffs... you will love it! Portail and Tour de l'Horloge. 16th and 17th century Church St Hilaire. 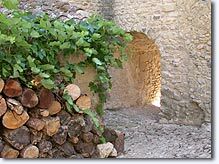 Communal oven, rue Notre Dame. Tennis. swimming pool. Horse-riding. Petanque. Guided visits around the village. Hiking, tourist trails and mountain biking (signposted routes around the village and GR6). 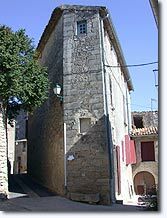 St Martin de Castillon (7km), Caseneuve (8km), Gignac (10km).